Selecting preferred employees ensures that your best employees can be selected for shifts faster. This guide will show you how to select employees and mark them as 'preferred' in a specific area of work. 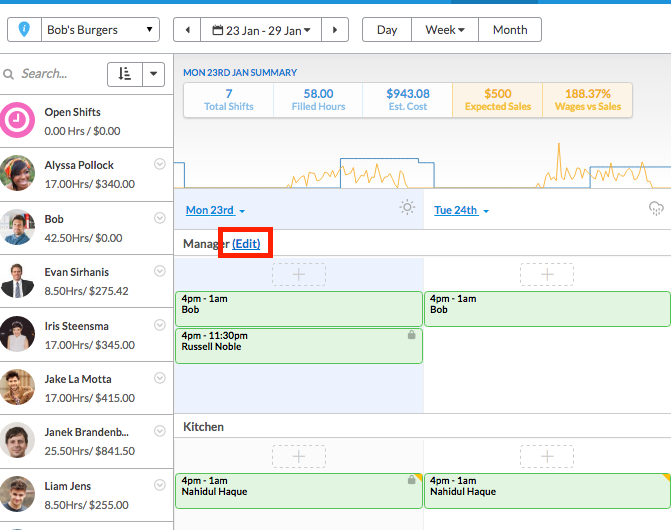 This setting will ensure that when you are scheduling, you will see these marked employees closer to the top of the list. 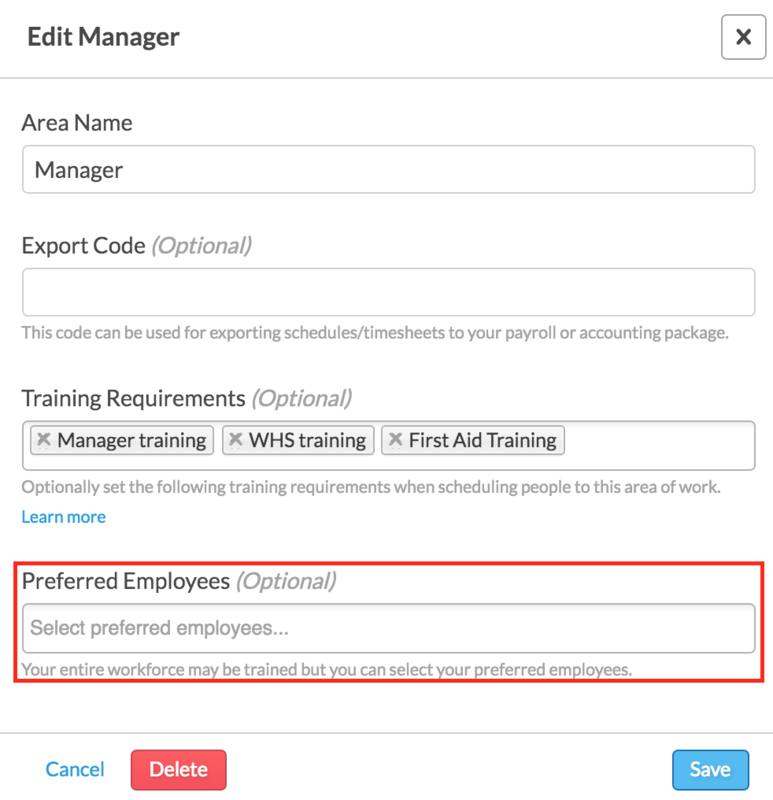 To add employees as 'preferred', navigate to the Schedule page. From here, simply move your mouse over the area in which you would like to edit. A pop-up box will appear in which you can edit the details of the area. At the bottom of this pop-up box, you will see 'Preferred Employees (Optional)'. 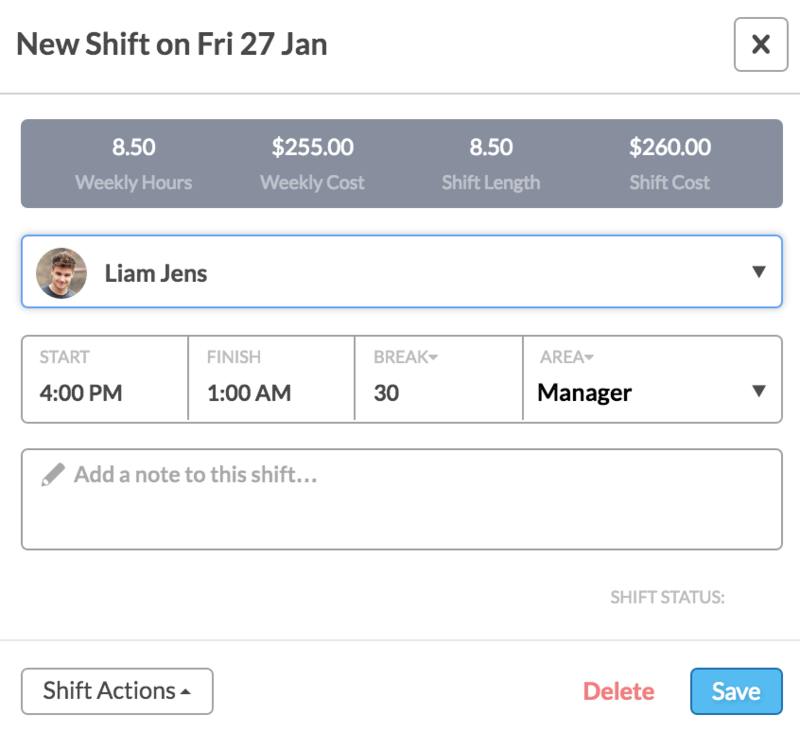 Here you can enter employee names that you would like to see at the top of your scheduling list for that particular area. Remember to hit 'Save' when you are satisfied with your changes. 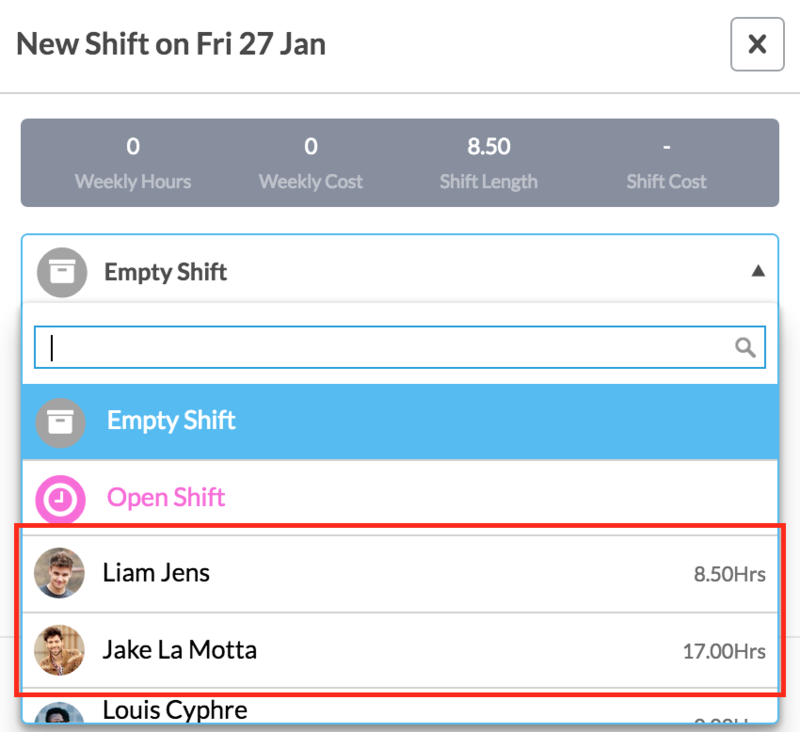 In the screenshot above, 'Jake La Motta', 'Janek Brandenberger' and 'Liam Jens' were added to the list under the area 'Manager'. Note: Janek Brandenberger has already been scheduled in a separate area. This means his name will not appear at the top of the list.